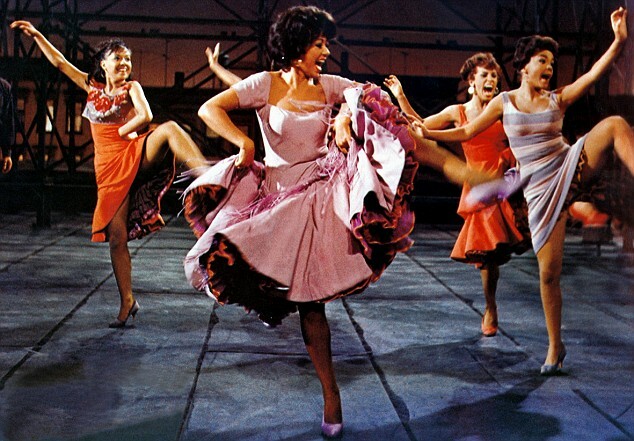 WEST SIDE STORY —- I didn’t see this essential piece of Americana until its re-release in 1968. I was thirteen, thus testosterone-primed for its emotions. Had I seen it in 1961, when it unleashed that first haunting warning-whistle, even as a tyke I would have liked the music, though I would not have grasped the story’s Shakespearean roots or appreciated its timely racial update. Already a stage sensation, as a movie it took critics, awards, and box office in a storm of finger-snaps, swirling skirts, stereophonic blasts, high-kicking, svelte-dressed Sharks and tumbling, lipping-off Jets. Lovely, ill-fated Maria. Cool, swaggering Riff. 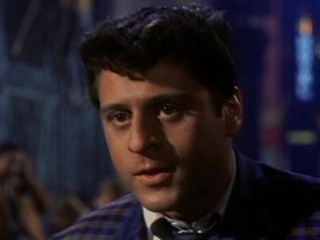 Cooler, steel-eyed Bernardo. Flame-hot Anita—hell, I’ll join a gang that does ballet if I can meet her on a rooftop at sundown. When I saw it at thirteen, I was shy, and new in the town (that would be Walnut Creek, California back when it was wonderful), all by my lonesome. I walked home, snapping my fingers, humming the tunes. No, I wasn’t humming ‘I Feel Pretty’, but, like, what if I was, daddy-o? Went back the next day and saw it again. Ten Academy Awards, eight were deserved: its nods for Art Direction and especially Costume Design (I mean now, really, street clothes?) should have gone to El Cid. Supporting winners Rita Moreno and George Chakiris are pretty much iconic. Trim, hawk handsome Chakiris never clicked much after this, but with that slick haircut and sleek duds he could afford to coast. After her triumph here, Moreno ran back into the ethnic casting trap she’d hoped to escape, and didn’t appear in another movie for seven years, but her talent won out eventually with a Tony, a Grammy and several Emmy’s, among other citations. Ah, Natalie Wood…so her voice, as we ALL know, was dubbed, and–duh–she wasn’t from Puerto Rico—so, let’s all go home and break our records. It takes real p.c. brains to second-guess and mewl about something that ‘should have been’, decades before, in a totally different world. She’ll always be Maria. Mull this: Jill St.John tried to get the part—you can finish barfing after I do. 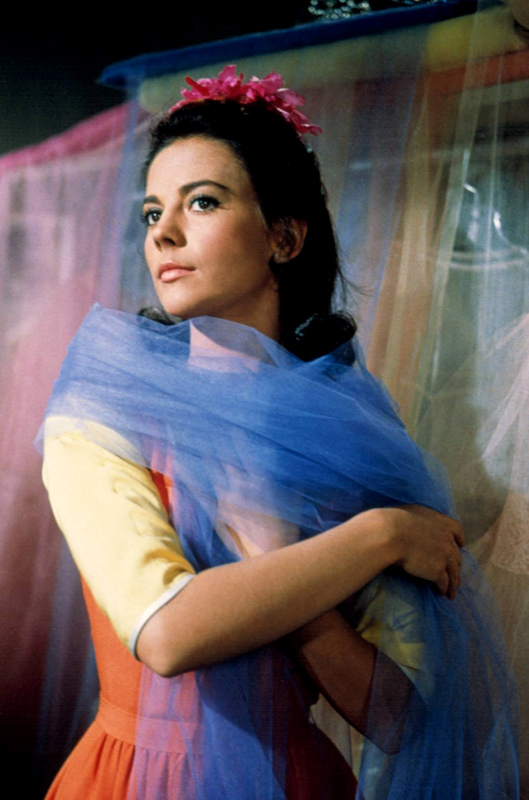 The casting curse that hit the others bounced off Natalie Wood and she stayed a star until her untimely demise. Everybody has their favorite Jets and Sharks—I think Tony Mordente’s hair-trigger ‘Action’ leads the pack/s. Don’t forget Simon Oakland’s disgusted ‘Lt.Shrank’, hulking sidekick William Bramley as ‘Officer Krupke’, and a pre-Gomez John Astin as the hapless social worker host of the fabulous ‘Dance at the Gym’. The nasal whining of Ned Glass doesn’t cut for me: you’d think the Jets would have just looted Doc’s store, already. Jaw-dropping opening sequence races your pulse, quietly memorable closing moments ought to loosen your tear ducts— unless you’re Pauline Kael (if you want to see how far out of tune with the rest of the planet a person can be, unearth her review, then gargle lye for a chaser). Spectacularly directed by Robert Wise and Jerome Robbins, written by Ernest Lehman, shot by Daniel L. Fapp. Besides those mentioned above, its Academy victories were Best Picture, Direction, Cinematography, Film Editing, Sound and Scoring. Lehman’s script was up, but lost to Judgement At Nuremberg. Bursting with talent and energy—Tucker Smith, David Winters, Eliot Feld, Susan Oakes, Carole D’Andrea, Jose de Vega, Gus Trikonis, Gina Trikonis (“I and Velma ain’t dumb!”). I never get tired of this movie. A lot of people look at it now and laugh it off or shrug. It hurts to see artistic endeavors, innovative labors of love that were so important– -to so many for so long—lose their place in line to CGI-stuffed temper tantrums without a genuine human emotion in their blurred, slurred pandemonium, where memory of what you just sat through leaves the minute they end. So, hey..I’m getting old. West Side Story never will. *Tamblyn and my late brother-in-law shared a bachelor pad together for a while, so I heard some neat stories. I did briefly meet Mr.Tamblyn once, at a revival showing of How The West Was Won. A charming man. i was 10 when i saw this, the “hoods” (or elvises as i called them then) scared me like the high school kids my dad taught. next time i saw it, i thought “oh, DAN-cers”. a couple years ago, i thought “man, those guys are so athletic! the more things change, the more different they are. Glenn Erickson, the brilliant guy who writes DVD Savant, astutely brings up the fluidity of the Sharks versus the bounding of the Jets (he says it better—always). 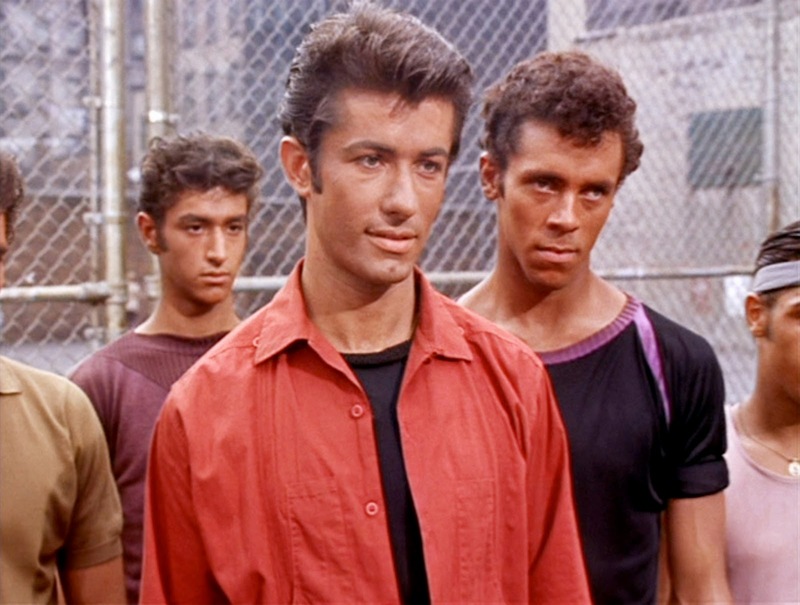 I think George Chakiris’ moves influenced me a lot in how I would try–back in dinosaur days when I went to parties— to fake being svelte on the floor. One attempt at tumbling like Tamblyn and I’d be in a gurney.